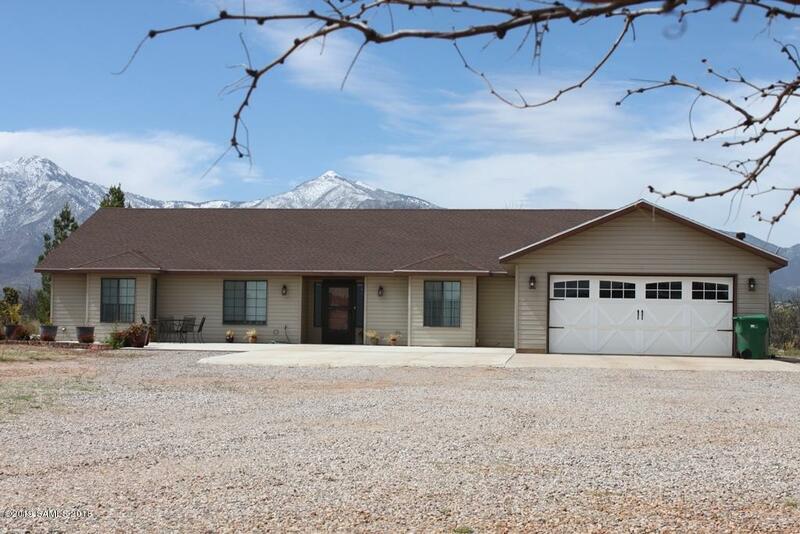 Custom designed ranch home offers maintenance free metal horizontal siding and wrapped eaves. Two deep covered patios shade home from hot summer sun. 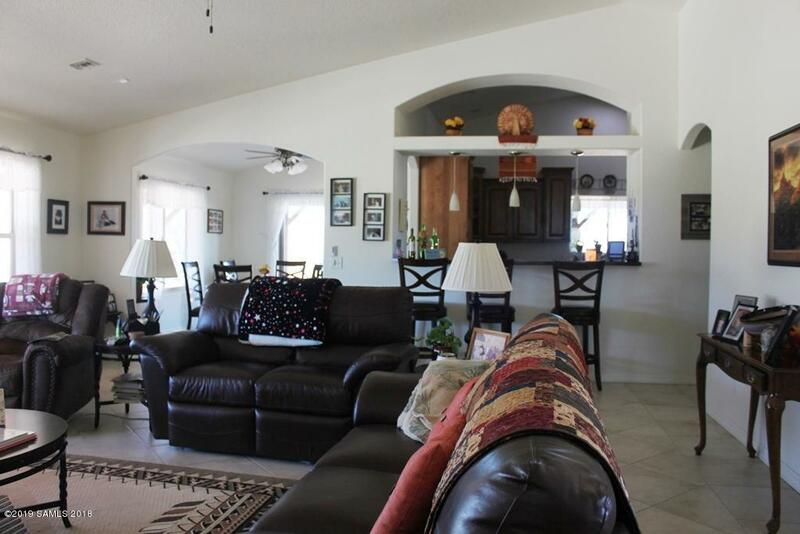 Inside, there are 4 bedrooms, 2.5 baths, great room, spacious kitchen, and lots of storage. The attached garage is a real bonus...still accommodates a car, but...for those family gatherings and parties...is also a finished rec room w/bar. This area brings total heated and cooled size to just over 3100 sq. ft. Over 3100 sq. 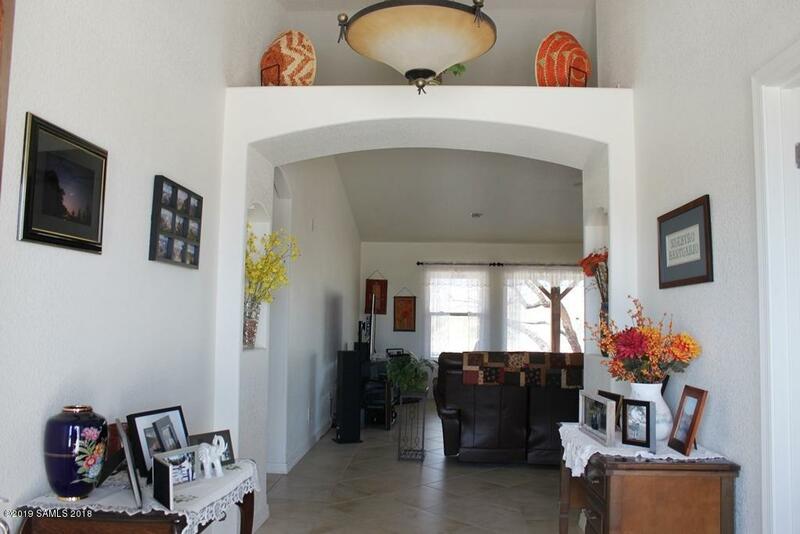 ft. of concrete including front patio, garage apron, and the two covered patios, provides lots of outdoor living area. To complete the picture is a 30 x 60 insulated shop, w/loft storage, 12 x 14 roll up door and 220 service..room for extra cars, .full hook up RV pad and a 12 x 15 shed to keep garden tools out of sight. 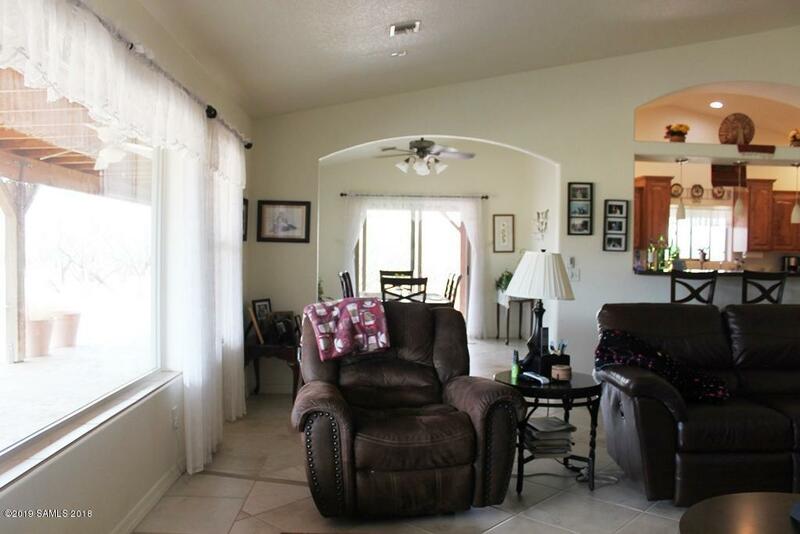 Home has a third interest in a well, some irrigation, young trees and mature mesquite trees. Property is fenced in field fencing and is on a paved road.